Special Containment Procedures: Microsite-6117 is to be established in Detroit, Michigan and staffed according to NHLR1 guidelines. MS-6117 is to be additionally staffed with a contingent of C-Class personnel trained in hazardous industrial environments, who are to work 12 hour shifts within SCP-3599 on a schedule organized to ensure each SCP-3599-1 terminal is used exactly once per day. Under no circumstances are C-Class personnel to disclose information about Earth, the Foundation, or humanity in general to any other lifeforms within SCP-3599. Detailed observational reports are to be submitted after each shift. Access to SCP-3599-1 terminals is to be restricted by unobtrusive means. The optimal containment method is construction of a discrete concrete structure; chain fences and metal gates are acceptable alternatives. Small standing structures found to contain instances of SCP-3599-1 should be purchased immediately with MS-6117 discretionary funds. One guard should be stationed at each SCP-3599-1 terminal in a disguise suitable to the surrounding environment. SCP-3599-1 terminals in locations that unduly complicate containment2 are to be denied use for a period of five consecutive days or destroyed under the pretense of construction work. 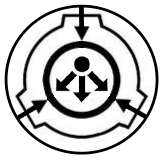 After this period, all available MS-6117 resources are to be tasked with searching the surrounding 10 km2 region for the replacement SCP-3599-1 terminal. Access to citywide surveillance devices is to be allowed for this purpose through the US-ITAP initiative. Deactivated terminals are to be dismantled and transferred to Site-64 for storage. Description: SCP-3599 is an orbital manufacturing complex located 16 light-years from Earth. The workforce of SCP-3599 is comprised of human and alien lifeforms transported to it by anomalous means. These workers organize themselves and labor at assembly lines in 12-hour shifts. A small percentage of the workforce act as supervisors and refer vaguely to another level of management (the "Foreman.") SCP-3599 is an unsafe work environment according to OSHA standards, and untrained laborers experience a fatality rate of approximately 30%. Affected individuals have reported difficulty formulating complex thoughts or remembering mission taskings while in close proximity to the assembly lines. The final product of the manufacturing process has yet to be identified, but is known to contain electrical circuitry, biological components, and complex lens arrays. SCP-3599-1 is the collective designation of terminals used to access to SCP-3599. All known instances of SCP-3599-1 are currently located in the city of Detroit, Michigan, typically in alleys, basements, or other secluded areas. SCP-3599-1 instances resemble early 20th-century punch clocks, consisting of two wooden card racks, an analog clock, and a punching mechanism. A sign is posted over each terminal stating "A star shines. A worker works." Terminals that go unused for five days or suffer irreparable damage cease to function as SCP-3599 instances and are replaced by a new terminal within 10 km2. The process by which new terminals are generated remains unknown. When an individual clocks in3 at an SCP-3599-1 terminal, the nearest doorway is converted into a portal leading to SCP-3599 for approximately 40 seconds. Any individual who clocks in at an SCP-3599-1 terminal will become convinced they have acquired a desirable job. These workers perform with above-average enthusiasm, but can be motivated to resign through conventional means without causing distress above normal levels (higher levels have been observed in repeat workers.) At the conclusion of a shift, SCP-3599-1 terminals dispense payment at the rate of $5.35 per hour. 86% of first-time workers have expressed a desire to return for at least one additional shift despite poor conditions and sub-standard pay. SCP-3599 workers do not recognize their experience as being out of the ordinary under any circumstances. SCP-3599-2 is the F-type hypergiant star positioned at one foci of SCP-3599's orbit. Neuroimaging of repeat workers has revealed unusually high levels of activity in the amygdala and hindbrain region when discussing SCP-3599-2. The nature of this reaction is unknown, and individuals who experience it do not deviate significantly from baselines under standard testing procedures. Foreword: Exit interview of Jonas Murkowski, who worked as a member of the SCP-3599 labor contingent for three years. In this time, he passed all regular physical and mental fitness tests and performed beyond expectations in the field. Immediate reassignment was requested due to familial difficulties. Dr. Antoche: No need to look so nervous, Jonas. It's just a formality. I've already passed on your transfer request with my recommendation, and the security chief's, and your supervisor's. Really, you could have asked for reassignment any time with your record. J. Murkowski: I just didn't want to let the rest of the team down, ma'am. Dr. Antoche: No need to worry about us. We'll manage. J. Murkowski: I'm worried about my other job, ma'am. It's bad form to quit without a word. My grandpa was always furious about that, back at the mill. And the Foreman? His temper's worse than my grandpa's. Worse by far. Dr. Antoche: There's not much we can do about that, I'm afraid. You know the regulations. J. Murkowski: The Foreman's been awfully good to us, is all. Never said an unkind word we didn't deserve, always let us out a few minutes early when we were ahead of schedule, that sort of thing. Feels a bit cruel to leave him out in the lurch just a few days before we're supposed to finish production. Dr. Antoche: Production is ending soon? I haven't heard anything about that. Dr. Antoche: Well, I couldn't possibly ask you to violate your contract any further. I hope you enjoy your next position, Jonas. J. Murkowski: Thank you, ma'am. Closing Statement: Under the direction of Dr. Antoche, Jonas Murkowski was transferred to Site-75 for interrogation, where he proved unwilling to discuss SCP-3599 production or "the Foreman." Preparations for anomalous activity associated with the SCP-3599 product launch are ongoing. 3. Taking a card from the left rack, punching it, placing it in the matching spot on the right rack.